Nissan Motor says it will make cars that drive themselves by 2020. The Japanese automaker made the pledge Tuesday at an event in California. 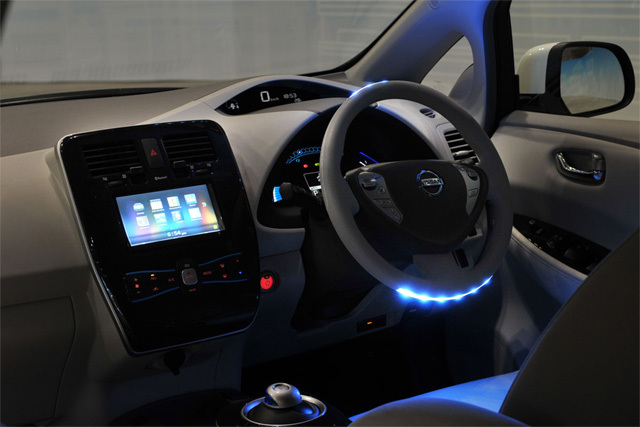 CEO Carlos Ghosn has said before that he wants Nissan to be the first to sell self-driving cars. But Tuesday's announcement was more specific. Nissan says it will have a commercially viable autonomous driving system in multiple vehicles by 2020. It hopes to offer that system at a reasonable price across its lineup within two vehicle generations. The company says it's working on autonomous cars with several universities, including MIT and the University of Tokyo. It's also building the first dedicated proving ground for autonomous cars near its headquarters in Japan. Nissan already offers some technology that's used in autonomous cars, including motion-detecting cameras.